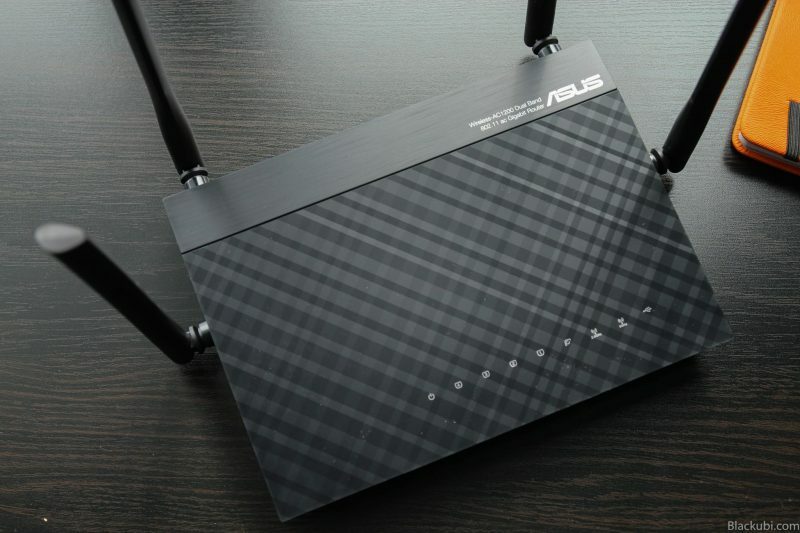 Asus RT-AC1200G+ is Asus’ contender to the extremely competitive mid-range router market. It is a dual band wireless router with wireless AC1200 capability. The router comes with 4 unremovable external antennas. As such, the 2.4Ghz and 5Ghz will be having their own antennas. Moving on, the design is rather simple with a matte black look. The footprint of this router is rather small and you will be able to wall mount this router as well. We shall see if this router is able to shine in this extremely competitive market. As this is a mid-range router, I do not expect top of the range specifications. However, the performance of Asus RT-AC1200G+ is rather decent despite being a mid-range router. Mid-range routers are getting better and good routers are getting cheaper. I have no issues getting the full performance of my 100Mbps internet connection with this router. Besides, I do not face any wireless disconnections throughout my testing period as well. The wireless range is decent and you shouldn’t have issues with the range. Both 2.4Ghz and 5Ghz perform fine in term of signal strength. I recommend this router for users with 10 or lesser wireless devices at home. A quick benchmark with iPerf3 displays an actual performance of 300Mbit/s over the 5Ghz band on Wireless-AC, not bad for an RM400 router. I love the fact that this router has separated antennas for different bands. The router is fully compatible with Maxis and Time Fibre as well. There’s also USB 3G/4G modem support in case you want to use it with a wireless broadband ISP. 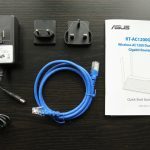 Asus RT-AC1200G+ come with Asus’s ASUSWRT firmware. ASUSWRT is consistently rated as the best router firmware in the market. The user interface is simple, powerful and stable. From the homepage, you are able to monitor the status of the router such as the connected clients and USB port status. It comes with a good amount of value added features as well. I like the SmartQoS feature as it is able to prevent users from hogging the bandwidth. The firmware is stable, the bootup time is decent and I do not face any bugs when using the router. Some features such as Asus Adaptive QoS and AiProtection are not present as those require a lot of CPU power and thus, only reserved for the high-end Asus routers. In short, the router comes with a decent amount of features and it is more than enough for normal users. 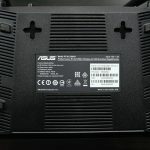 Router firmware is still Asus’ core strength and it is no different on the RT-AC1200G+, it is very far ahead than the competitors. 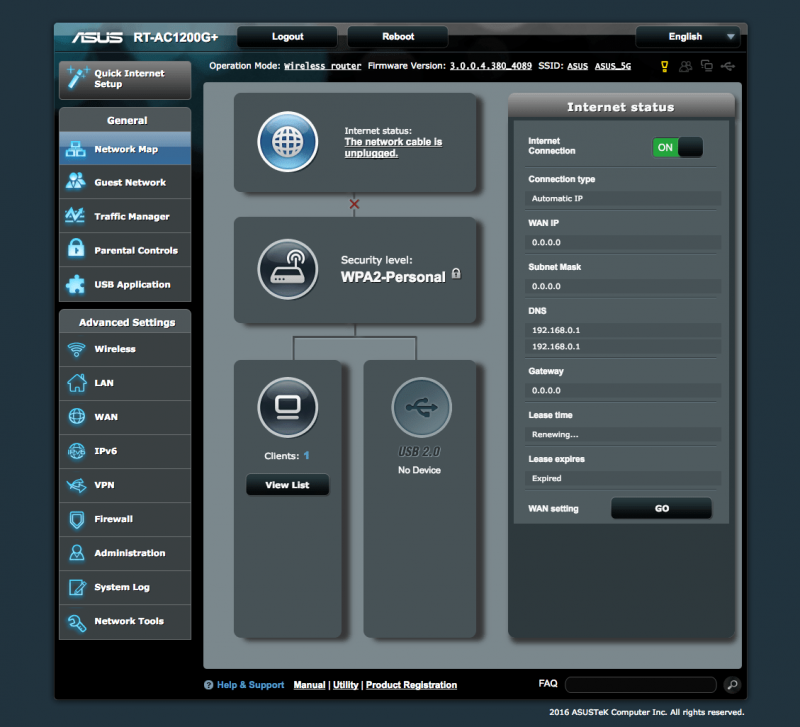 The router is compatible with Asus Router mobile application as well. You can use the app to monitor the status of your router. Besides, a lot of configurations can be done via the app. You can block users or even configure the wireless guest network via the mobile application. I always recommend it for the owners of Asus routers. Asus RT-AC1200G+ come with a single USB 2.0 port at the back. You can use the USB port to share your USB drive on your local network. All your devices on your local network will be able to access the files stored on your USB drive. I tested the real world performance of the file sharing and it is around 12MB/s (96Mbit/s) read and 4MB/s (32Mbit/s) write, slightly on the faster side for routers in this range. As this is a mid-range router, AiCloud and Download Master feature is not available. Besides, you are able to use the USB port to share a printer on the network as well. I am currently using this router as a print server for my Epson USB printer and it is working as intended. I configured it as a media bridge to share the USB printer in another room wirelessly on my network. 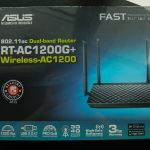 Asus RT-AC1200G+ is Asus answer to the mid-range router market. It is a very good all-rounder just like the RT-AC55UHP. 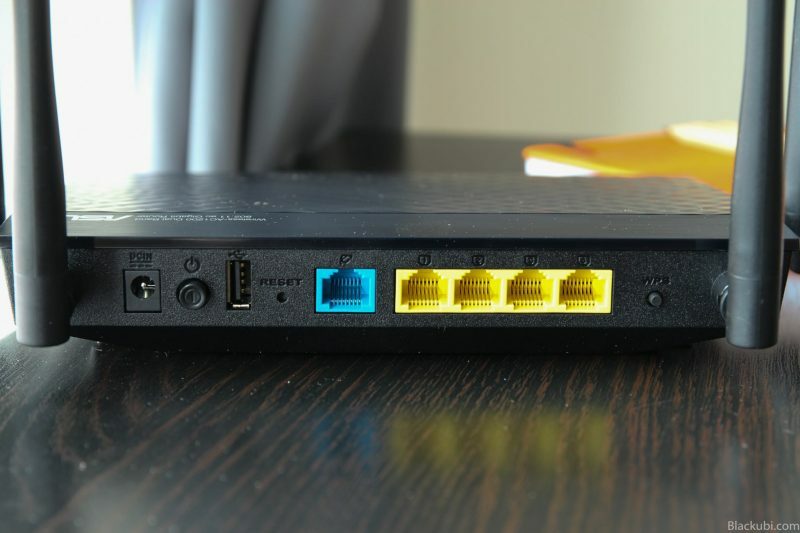 At just around RM400, it is relatively affordable and thus, a good replacement to the default router provided by your internet service provider. It ticks all the boxes to qualify as a good router. The firmware is great, performance is decent and it is stable. Setting up this router is rather easy and painless. Asus’ ASUSWRT firmware is the most reliable and stable in the consumer router industry. The features it offers is the best among the routers at this range as well. The performance is decent and although it is unlike an RM1000 router, it is more than adequate for most users. It is definitely able to perform better than the ISP default wireless router. I do not have any issues with the wireless range in a normal home. In short, the wireless range of the RT-AC1200G+ is decent, the performance is great for today’s internet connection and the features are more than enough for normal users. I recommend this router if you have around 10 internet connected devices at your home. Interesting case. May I know what phones you are your wife use? Hi, I live in a 1000sqft condo with about <10 devices that will connect to the wifi, including a ps4, a desktop and other mobile devices. Will this router be sufficient? Am on Unifi 50mbps atm. Thanks in advance. Hi, Recently I have been upgraded from 50mbps to 500mbps. I’m looking for a wifi router that can cover my whole triple storey terrace house. Will this router suit my need? My unifi point is at the 3rd floor room. Each floor has a network point with 5e cabling. Wireless devices are not heavy users. You can consider a mesh wireless solution and having Ethernet backhaul will greatly boost the performance. I suggest TP-link Deco M5 3 pack with 1 on each floor. If you got the budget, you can go for Asus AiMesh configuration, that will yield the best performance. My apartment is 2000 square fit …would Asus RT Ac 1200G+ cover the range ? Consider a mesh solution like Asus Lyra. The RT-AC1300UHP should have better coverage as UHP stands for ultra high power. Hi, can you recommend which router is suit for PS4 gaming console? I used LAN cable to connect my ps4 with my current UNIFI router(the latest Tp link model) and it is still lag and sometimes DC. my unifi is 50mbps. Do you recommend this model? It depends on your budget. The RT-AC1300UHP is worth considering. I also face same problem as mentioned above. My ps4 sometimes keep disconnecting whenever i play online. is this due to Unifi router or is it the modem? i currently use default router provided by unifi. Any suggestion for budget around 400? Hi, this router is a good fit. Hi, I plan to use Express vpn for online streaming,would this router be suitable? Get at least the RT-AC1300UHP. Wat different 4✖️Fast and 4✖️Gigabit ? Fast Ethernet Port is only up to 100Mbit where Gigabit Ethernet port support speed up to 1000Mbit. I live in a 2000sqf apartment…. thinking of this AC1200G+ unit as a replacement for my unifi 50Bbps…. you reckon it’s good enough? If not, what would you recommend? At 2000sqf, I doubt a single router config is sufficient. I myself use a router + powerline extender for a 1800sqf apartment due to the layout of an apartment limiting wireless transmission. I don’t think you can get 50Mbps reliably the entire apartment with just this router.